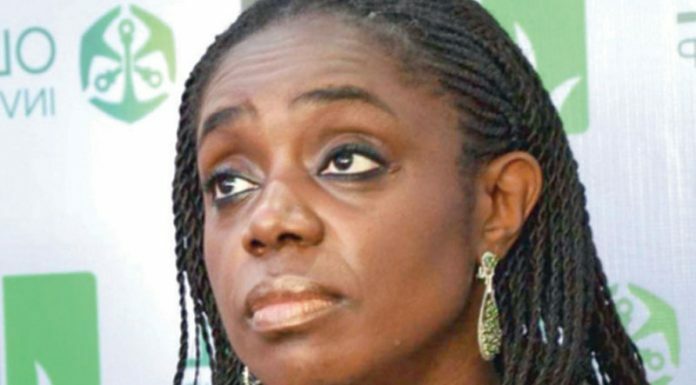 When the online newspaper, Premium Times, scooped the National Youth Service Corps exemption certificate scandal of the former finance minister, Kemi Adeosun, not a few Nigerians called for her prosecution her guillotine on the altar of alleged forgery. Many people and organisations feasted commentators were feasting on her for relevance. At last, the overwhelming pressure prevailed, Adeosun resigned unceremoniously. In my article published in July 17, 2018, I alluded to the fact that Adeosun might have fallen prey to a scam unknowingly. She must have been wrongly assured and misled into believing that all she needed was an exemption certificate which some â€œtrusted associatesâ€ went ahead to procure for her. For daring to express that alibi in my article on Adeosunâ€™s saga, I received more incisive criticisms than commendations by readers. The reactions were as divergent as the nature of the case. Now that Adeosun had eventually quit the federal cabinet, we now know better. Her well-crafted and emotion-laden resignation letter answered many questions regarding the allegation of forgery surrounding the procurement of the controversial NYSC exemption certificate. Yet, some people are still insisting she must be arraigned in court to answer for the alleged offence. Whether thereâ€™s merit or demerit in the opinion of those calling for her prosecution, letâ€™s examine some fundamentals that should ultimately decide her fate in this matter. When former American President, Barack Obama, declared his interest to vie for the office in 2008, the issue of his dual nationality became a serious campaign topic. There were allegations that he was not qualified because heâ€™s not considered to be a â€œnatural-born citizen of the U.S.â€ This argument, according to his challengers, was predicated on the fact that the law in effect at the time he was born specified that â€œIf only one parent was a U.S. citizen at the time of your birth, that parent must have resided in the United States for at least ten years, at least five of which had to be after the age of 16â€; a provision that was claimed to have been partially or not attained by his mother. His Kenyan paternity also became an issue despite his mother being a natural-born U.S. citizen; moreover, his parents divorced when he was but a toddler in 1964, and his mother soon afterwards married another foreign national and moved with Barack to Indonesia. There was a wild allegation that he was born in Kenya before being flown to the US but the birth certificate from Kapiâ€™olani Maternity & Gynecological Hospital (now called Kapiâ€™olani Medical Center for Women & Children) in Honolulu, Hawaii, put a lie to the campaign of calumny. A number of conspiracy theories falsely asserted Obama was ineligible to be President of the United States because he was not a natural-born citizen of the United States as required by Article Two of the U.S. Constitution. Theories alleged that Obamaâ€™s published birth certificate was a forgery â€“ that his actual birthplace was not Hawaii but Kenya. Other theories alleged that Obama became a citizen of Indonesia in childhood, thereby losing his U.S. citizenship. Still, others disputed Obamaâ€™s U.S. citizenship because he was born a dual citizen. Obama eventually surmounted all the contrived â€˜racistâ€™ hurdles on the strength of the Fourteenth Amendment which states that â€œall persons born or naturalized in the United States, and subject to the jurisdiction thereof, are citizens of the United States.â€ Since Hawaii is part of the United States, even if Barack Obamaâ€™s parents were both non-U.S. citizens who hadnâ€™t even set foot in the country until just before he was born, heâ€™d still qualify as a natural-born citizen. In view of the above, can Obama still claim Kenyan citizenship if he so desires, being the home country of his father? The answer is yes. He could because Iâ€™m not aware of any law that forbids dual citizenship, especially if oneâ€™s parentsâ€™ home country is different from where heâ€™s born. Then, at what point does one become a citizen of the parentâ€™s country? When the person in question obtains the countryâ€™s passport. From that moment, the laws, rules and diplomatic benefits of the country begin to apply without retroactive effect. Kemi Adeosun was born a bonafide citizen of Britain by her Nigerian parents. She schooled and worked in the United Kingdom until she obtained Nigerian passport at the age of 34 years; the very age she touched down in her ancestral country. Meanwhile, she graduated at the age of 22; and by Nigerian educational rule, she ought to return to the country for the mandatory one year National Youth Service, NYSC. The riddle here is that, as at the time Adeosun graduated, she was not yet a Nigerian! That is, by implication, she was not under the statutory obligation to be enlisted for the NYSC scheme. Perhaps she wasnâ€™t in the know of the proviso or the thought of it never crossed her mind especially if she is oblivious of the importance of the NYSC certificate to her future career in Nigeria. So, when she eventually decided to work in Nigeria, she was confronted with the issue of mandatory NYSC certificate that must be part of her credentials. Apparently in a quandary of how to go about it, I think that was when â€œshe applied for the exemption certificateâ€, a move that was confirmed by the management of NYSC but it refused to disclose further how she got the one in her possession. Adeosun has maintained that she wasnâ€™t aware that it was fraudulently obtained on her behalf. The crux of the matter is that, should Adeosun enroll for the scheme afresh in order to obtain a legitimate discharge certificate or she should approach the NYSC office through a formal application for an exemption certificate stating the legal condition of when she became a Nigerian? These, I think, are the most feasible approaches to deal with her situation. For me, I will opt for the latter, as insisting that she must serve because she graduated before the age of 30 is tantamount to applying the law in retroactive manner to her situation. I think it is unfair. And in case the NYSC turned down her request for an exemption certificate, her lawyer should know what next to do. The fact that she owned up to be in possession of a forged document is an offence; but she committed the offence innocently. It is often said that thereâ€™s no excuse of ignorance in law, maybe that is true but a clear-cut case like Adeosunâ€™s may earn a pardon. The real offenders are her â€œtrusted associatesâ€ who opted for the shorter but illegal route to obtaining the certificate for her. I have vouched that she canâ€™t willingly go through the fraudulent way to obtain the contentious certificate. Sheâ€™s just an innocent offender. Adeosun had to quit her enviable job as finance minister on account of the scandal. Public ignominy and acerbic remarks in the media that trailed the saga were very devastating. Now that she might have done some introspection regarding the whole saga, Adeosun should frontally address the issue by taking steps to regularize her NYSC certificate through the latter option proffered here. Normalizing the situation is the only way to regain her smeared image, bruised ego, and she would ultimately bounce back into public reckoning when the dust of the scandal finally settles in her favour.